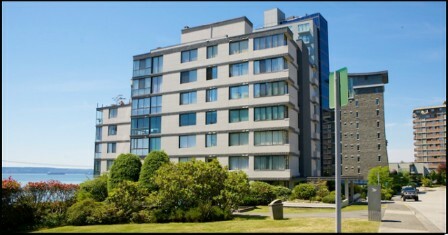 Navvy Jack West – 2108 Argyle Avenue West Vancouver, BC V7V 1A4, VAS212 – Located in the sought after neighbourhood of Dundarave in West Vancouver on the corner of Argyle Avenue and 21 Street. This is a central location that is close to transit, restaurants, coffee shops, Park Royal Shopping Centre, the seawall, beach, recreation, schools, parks, medical service, senior centre and much more! Direct access to major transportation routes allows an easy commute to surrounding destinations including Downtown Vancouver, North Vancouver and Richmond. Navvy Jack West offers seven storeys with 19 beautiful homes built in 1973 that are professionally managed. Most homes feature spacious floor plans, in suite laundry, cozy fireplaces, walk-in closets, separate dining rooms and private balconies where gorgeous ocean, mountain and city views can be seen. Navvy Jack West is a well maintained building with recent renovations including a common lounge, guest suite and exercise centre. Other building features include wheelchair access, elevators, storage, secured underground parking and visitor parking. Residents are able to walk to the sea wall or stroll through Navy Jack Park that is adjacent to this building. Navy Jack West offers unique boutique condo living and an opportunity for waterfront living.